RMY has an auction of vintage press photos currently up for sale and it includes an amazing collection of original Charles Conlon photographs. There are over 450 of them; including 25 different Brooklyn players. BTW, this RMY Auction ends this weekend, so if you want to add one to your collection you'd better get going. 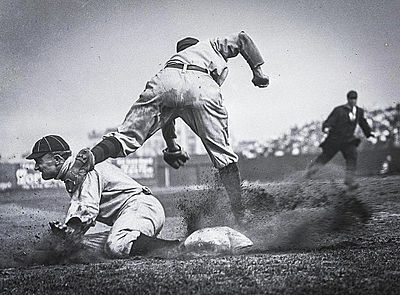 As you may know, Charles Conlon is regarded as one of the great Baseball photographers and is well known for his 1910 action photograph of Ty Cobb sliding hard into third base. See it on the right. Since this grouping of Conlon photos is rare to come by I thought I would take a moment to write about some of them. 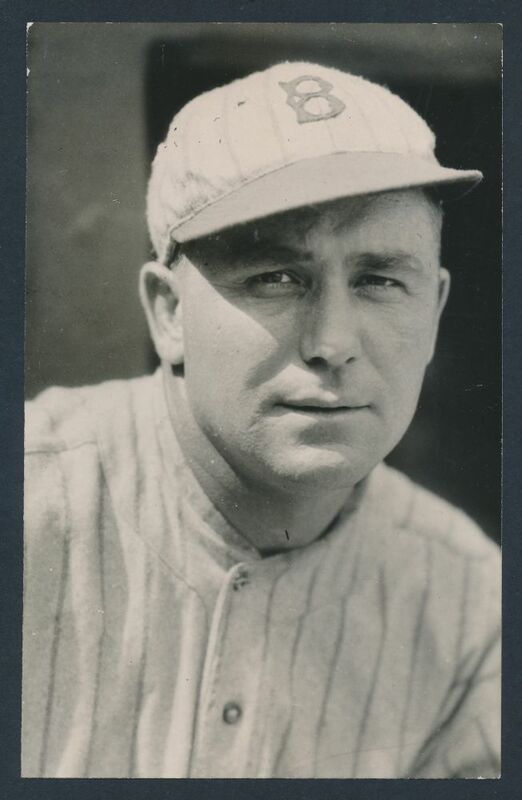 I'll start with the above 1920 Conlon portrait photograph of onetime Brooklyn catcher Harold Bell "Rowdy" Elliott. See the auction link here. I was drawn to this Dodger because I had never heard of him and with a nickname like "Rowdy" I figured there's got to be something interesting there. As it were, my curiosity was satisfied and I was saddened by my research. Team officials accused him of "not doing his best, dissipating, playing off sick, leading younger players astray and doing nearly everything not intended to promote the best interest of a club, " according to the San Francisco Chronicle. He got to pitch briefly in two games for the Oaks on the same day before being released after about six days on the roster. "No reason was given," he once said, "but I knew." By 1918 service in WWI came calling. He was an Fireman, Third Class, in the Navy and served on the USS Destroyer Ringgold. Then Elliott returned to Oakland a year later. 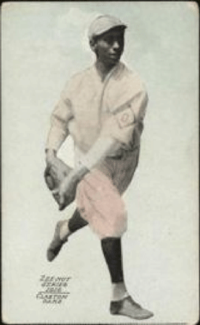 In 1920 he was sold to Brooklyn and helped the team steam towards a National League pennant. Although he was far from being the primary catcher, he did get into 41 games. One of which was catching a major portion of the record setting 26-inning contest against the Boston Braves on May 1st (boxscore here). After that season he returned to the minor leagues and bounced from one team to the next until his retirement from the game in 1929 at the age of 39. All the while his life appears to have been in shambles. His wife Helen Kearns, sister of Jack Kearns, former manager of boxer Jack Dempsey, had divorced him in 1924, and he was soon penniless by the time of his death in 1934 - five years after retiring from the game. Rowdy Elliot had fallen out of an apartment window under questionable circumstances and died of his injuries in the hospital. One source indicated that he was intoxicated at the time. He was 43 years old. Being unable to find relatives willing to take his body he would have been buried in a potters field if not for the donations of a few friends. Rowdy Elliott was no doubt besieged by demons. He was wild, and he liked the drink. At the same time, he was skilled enough to play the game for over two decades; including one as a Dodger. My idea of Baseball psychology is to hit the old pill on the nose and run like hell. When you make an error in the field hit it so hard the next time up that it breaks their feet. If the fielders are dangerous try to hit it over the fence. When in doubt hit it again. That's the only higher Baseball I know." Hopefully I will be able to take some time to write about a couple of more Dodger ballplayers found in the RMY Auction over the ensuing days.